Experts in identifying and developing custom, dedicated transportation services to optimize the flow of goods in global supply chains, G&D Integrated provides a broad array of solutions. The warehouse has come a long way over the years. 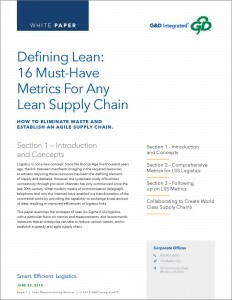 It’s no longer a large box to store things and smart companies are realizing some of the biggest opportunities for increased efficiency, throughput, and profitability may lie behind the walls of today’s warehouse. 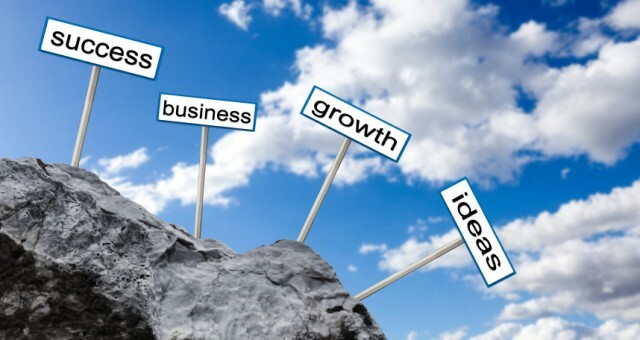 That’s where G&D Integrated warehousing and distribution solutions can help. G&D Integrated’s fleet program provides high quality transportation management and oversight, enabling you to allocate your staff and resources to other business operations. G&D Integrated serves as a liaison between you and an authorized, insurance covered carrier. We work to identify your needs and then coordinate with our network of approved carriers to satisfy your transportation requirements on-time and in a cost-effective manner. G&D Integrated drayage services enable the quick pickup of container shipments and efficient movement of goods in and out of ports and rail yards. G&D Integrated has over 30 years of warehousing experience and millions of square feet of space that offers a variety of options from dedicated to specialized facilities evolving every day. G&D Integrated services utilize key supply chain optimization strategies such as cross docking, transloading, distribution and fulfillment in conjunction with our asset-based truck fleet. Helping you with your warehousing storage needs is just the beginning at G&D Integrated. 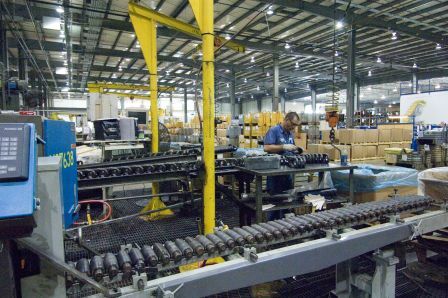 A best practice in warehousing and distribution is recognizing the opportunity for value-add processing of your goods. 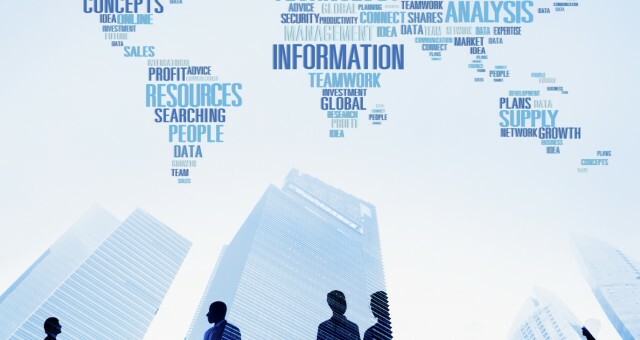 Utilizing integrated logistics management expertise, G&D Integrated is fully prepared to work with you to address logistics efficiency, spend, start-up, expansion, or consolidation. G&D Integrated offers turnkey transportation management services. Our innovative solutions, the result of more than a century of best practices, lower transportation costs, improve customer service and reduce cycle times. 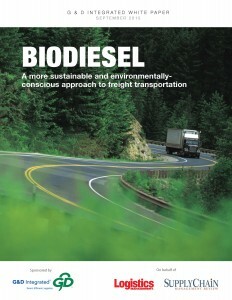 A growing number of shippers are turning to alternative fuel options for their transportation networks to reduce their carbon footprints and run environmentally-sustainable operations. 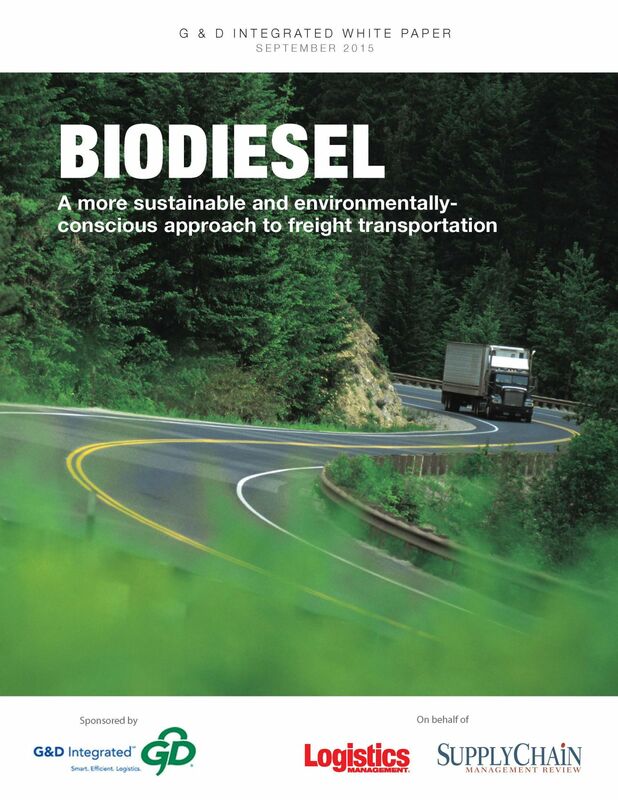 Read this white paper to increase your understanding of biodiesel and its role in freight transportation and how companies are benefiting through its use, environmentally and economically. 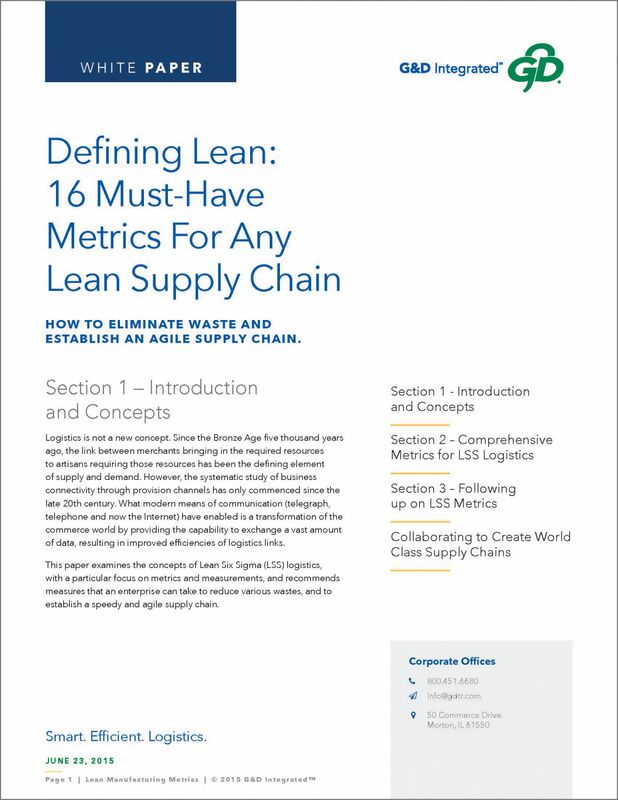 This paper explores the concepts of Lean Six Sigma (LSS) logistics, metrics and measurements and recommends actions that a business can take to reduce waste and establish a speedy and agile supply chain. G&D provides Lean Manufacturing to help an agricultural equipment manufacturer improve material flow and accuracy to support growth. G&D applied Lean Manufacturing to help a large heavy equipment manufacturer extend undercarriage leadership. G&D provides services to help the world’s leading manufacturer of construction equipment address safety and operational concerns. G&D provides services to help a world-renown manufacturer improve quality, delivery and cost of track type tractor production. G&D provides dedicated transportation to help a F50 OEM heavy equipment manufacturer optimize service and cost. 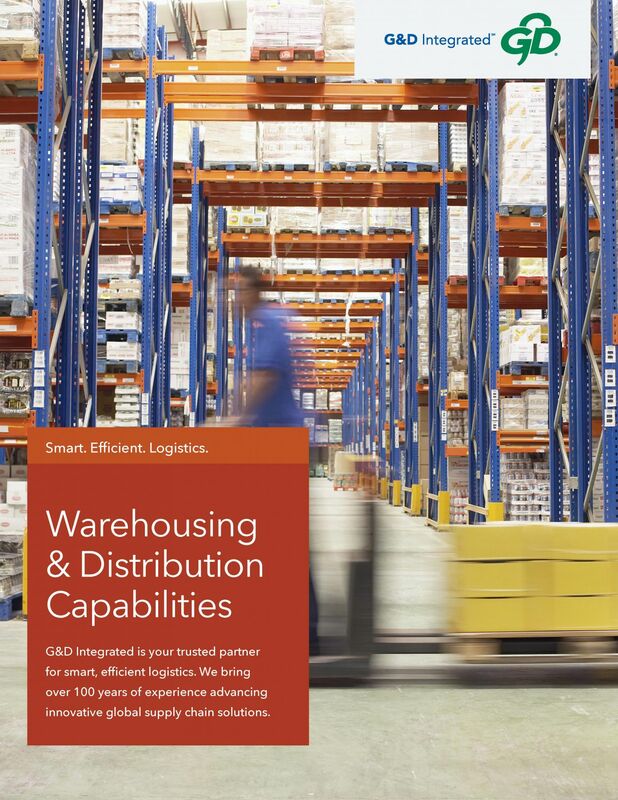 G&D implemented consolidated warehousing solutions to help a large, global manufacturer integrate inbound logistics so they could focus on core assembly. G&D Integrated is a provider of comprehensive Transportation services. Terms and Conditions of our services delivery are inclusive in our agreements. In the absence of a separate contract signed by both parties, the standard “Terms and Conditions” documented herein for reference will govern any business relationship between the parties. No other terms will apply. G&D Integrated is a provider of comprehensive Transporation Brokerage services. Terms and Conditions of our services delivery are inclusive in our agreements. 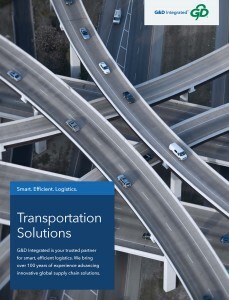 Complete the form below to download the Transportation Solutions Brochure. 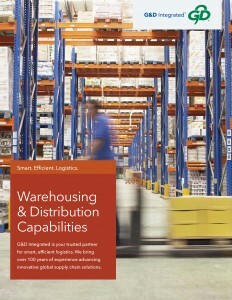 Complete the form below to download the Warehousing & Distribution Capabilities Brochure. Complete the form below to download the brochure.